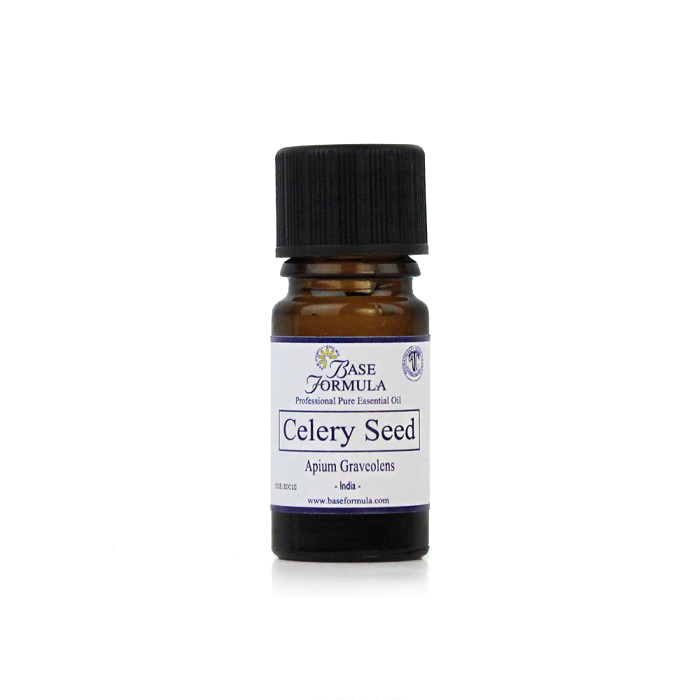 Celery Seed essential oil has a sweet, warm, earthy aroma. It is a natural detoxing agent and can be used to treat cellulite, female-related water retention, digestive problems, and as a post-illness immune system tonic. Celery is a familiar plant known in the modern world as a vegetable, but which in the past has long been appreciated for its medicinal properties. This plant has historically been used as a tonic and a natural detoxing agent. The modern aromatherapist would use this therapeutic essential oil in aromatherapy blends to treat cellulite, water retention (female related), digestive problems and as a post illness immune system tonic. Celery oil helps to counteract feelings of fatigue and lethargy. It is also thought to aid a good night's sleep. Celery Seed oil can be used as a general tonic and post illness "pick me up”. It is also believed to help with digestive problems and age related aches and pains, particularly where uric acid is causing pain and inflammation.